Angel Delight Ice Cream Mix Review. 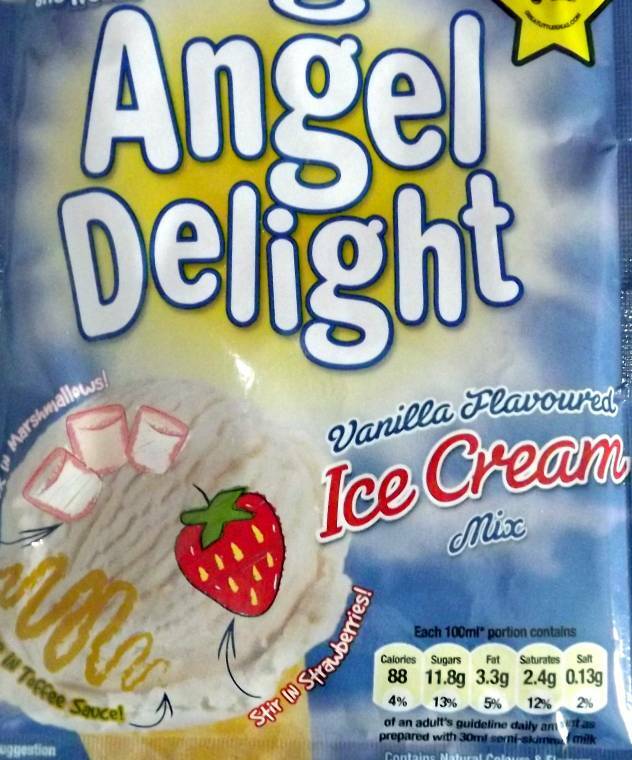 Did you know Angel Delight now made Ice Cream mix? Well it has not hit the shops yet but they have just launched it on Facebook . They have been giving thousands of free samples out and encouraging people to suggest recipe ideas with a chance for the winner to win a Ice cream van for the day. Looks like they have ran out for the minute but keep checking back to see if they reopen the giveaway and competition. Just got to try the Vanilla Ice cream mix. Simply pour 150ml of chilled fresh milk into a bowl and add the Angel Delight ice cream mix. Use an electric whisk for approx.5 minutes until the mixture has doubled in volume. Then if you want to you can add your favourite extras.pour into a suitable freezer box and freeze for a minimum of 4 hours. Whisk the milk and the ice cream mix until it has doubled in size. Add a 3rd of the mixture into a freezable container. 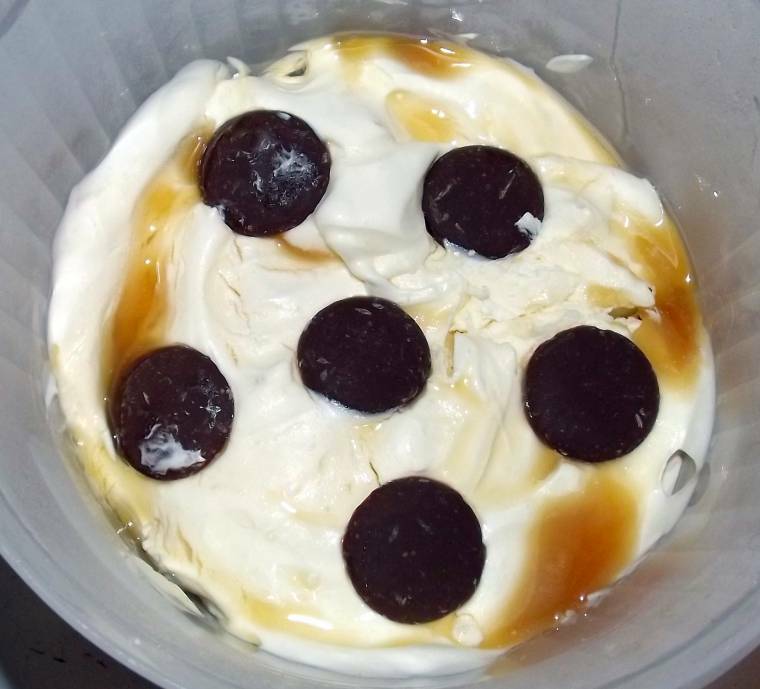 Sprinkle a 3rd of the chocolate buttons in and squeeze some toffee sauce over. Repeat twice more with the mixture and the extras. Then wait a few minutes serve and enjoy. Whisk the milk and ice cream mix until it has doubled in size. Add half the mix to a freezable container. 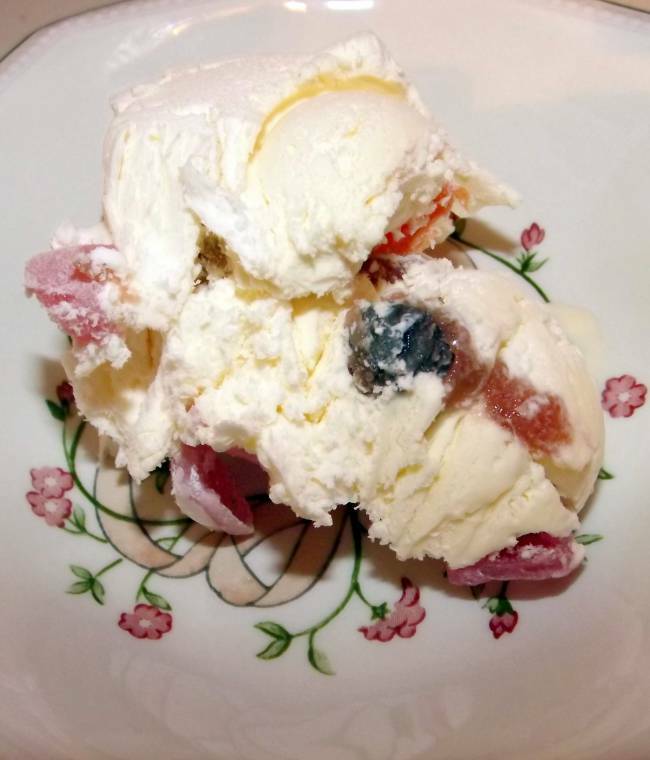 sprinkle jelly baby’s that have been cut into 4 Pieces all over and squeeze some jam over. 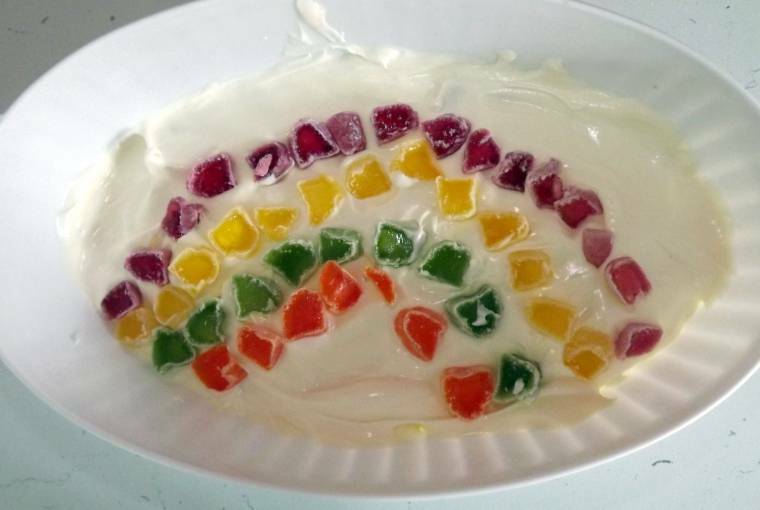 Add the last half of the mixture over and arrange the jelly babies into a rainbow pattern. 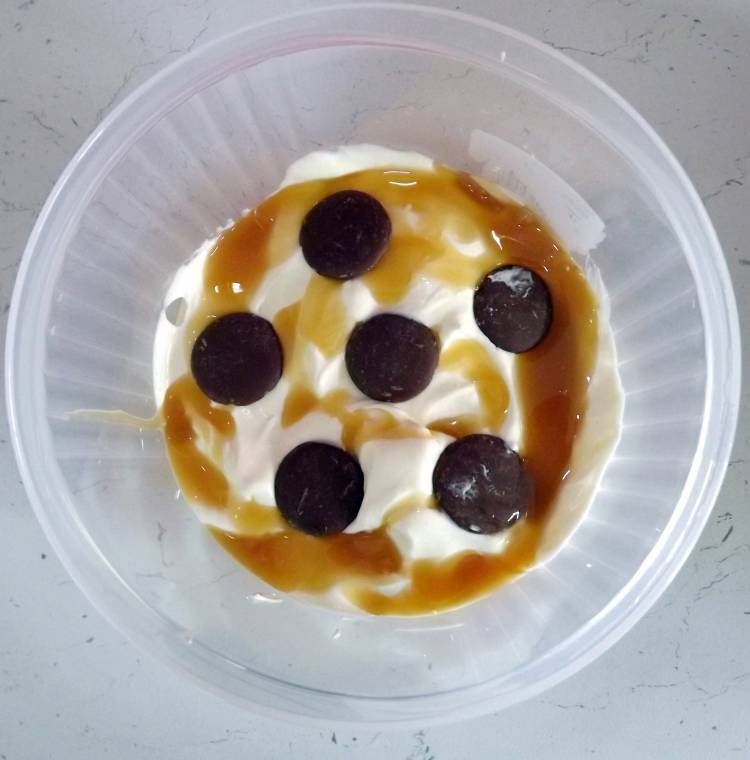 We all love the taste and enjoyed making our very own ice cream.Already thinking of new ideas on what to put into our next one can’t wait for it to hit the shops. All 6 of us liked the toffolate one the best. Some great things to add in EXTRA .. 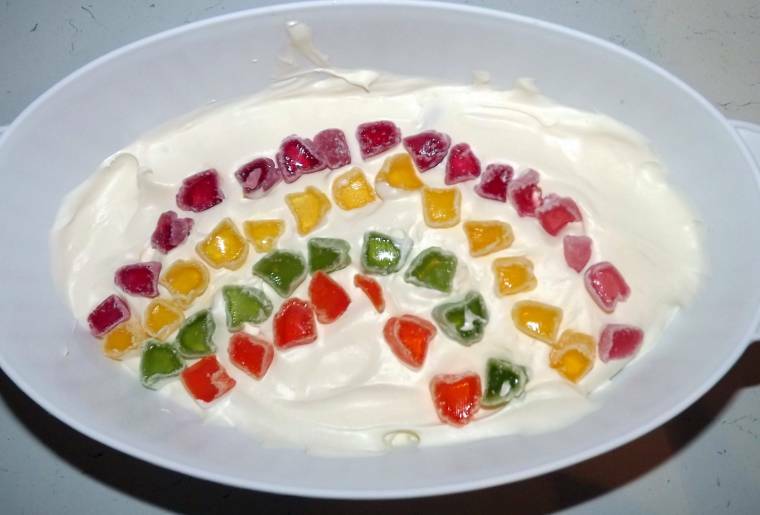 I have always been a fan of Angel Delight whipped deserts as I remember have them as a kid my favourite was Strawberry. 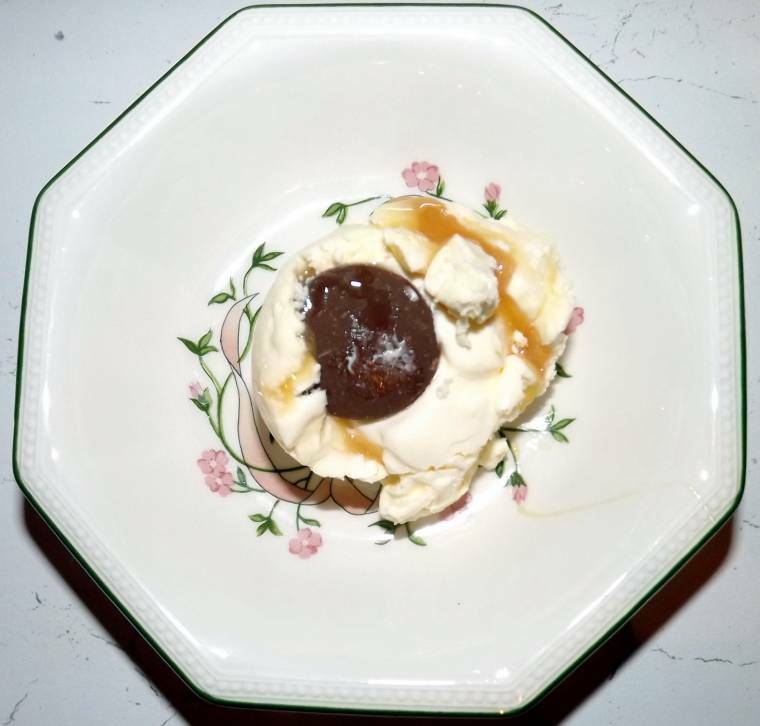 I was very pleased to be able to try the new Ice cream mix,being very into ice cream at our house this is a great idea for making your own added ingredients into some great flavours. If its successful it will hit the shops in 2012 so follow them on Facebook and keep you eyes peeled for a free sample to try. Angel delight sent me this free to try and review for my honest opinion. Prawns with orange and basil…. It looks scrumptious! Thanks for joining the Train ride!